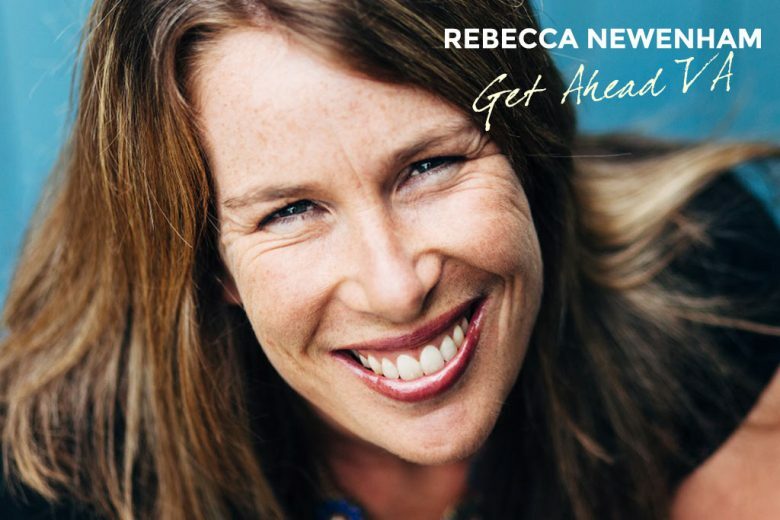 In 2010, mum of three Rebecca Newnham left a career as a corporate buyer and launched her own VA business, Get Ahead VA. Today she manages a team of 30 VAs while raising her family. She tells us how she did it. After graduating from university with a Business Studies degree I started my career in corporate buying – working for retail giants such as Superdrug and Sainsburys. I loved my role as cosmetics buyer at Superdrug, which girl wouldn’t! I have fond memories of competitive shopping in Paris with Bourjois cosmetics. At Sainsburys I ran the first ever online auction where suppliers bid for business online. I loved the fast pace and the excitement of new product development. 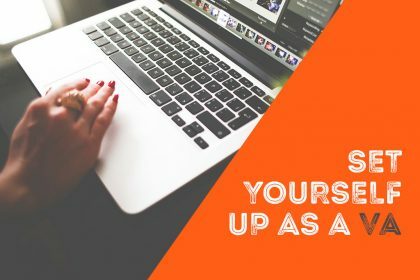 Why did you decide to move from buying to setting up a VA business? After I had my three daughters I was looking for a more flexible work solution that was also closer to home. 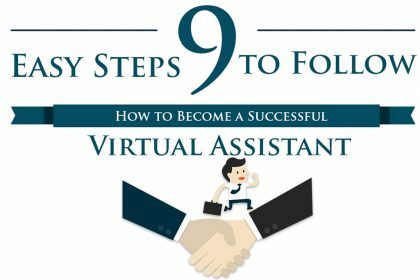 Having looked at various business ideas I felt a virtual assistance (VA) business offered the best solution and I set up Get Ahead VA in 2010. What skills and experience did you bring from your corporate buying background to your business? I had a great list of contacts as well as some basic business skills including an understanding of finance. 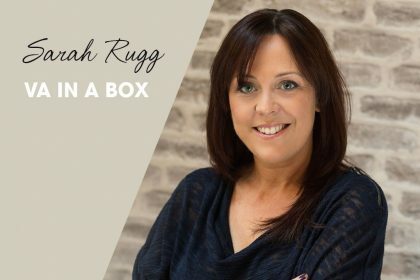 Thankfully I wasn’t scared of numbers, which can be a real challenge for some people when it comes to running their own business. You love networking – what do you thinks makes a good networker? Networking is all about listening – listening to what people need and finding out how you can help them. It may be you can help them directly through your business or you may be able to refer them to someone else. Either way, becoming known as a useful resource will ensure people remember and come back to you. Your mum was self-employed. How much of an influence on you do you think that has been? She was a huge influence. She was a great example as I was growing up that you can run a successful business and contribute to the family financially as well as being available for school drop offs, pick-ups and assemblies. And how important is it for you to be a good professional role model for your own daughters? Very important. My mother was an inspiration to me and I hope to provide the same inspiration to my daughters. 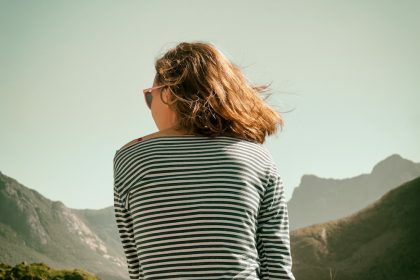 I think women can feel that having a family can limit their career choices but our business is proof that there are real, flexible solutions out there that can benefit both women and clients alike. I am lucky that the girls are very proud of me. You launched Get Ahead VA in 2010 and today run a team of over 30 VAs. What’s been the secret of your success? It’s been an incredible five years! I always knew I wanted to employ other mums and not just work as a standalone VA. I am so lucky to have so many talented people in our team which includes 24 mums – with 47 children between us. 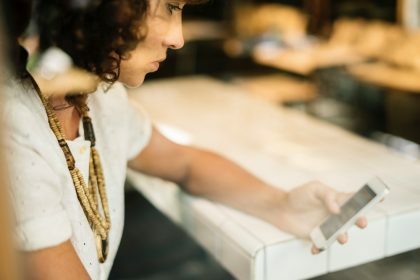 They all benefit from our flexible business model which enables them to work flexibly from their own homes around the needs of their own families – and sometimes their own businesses too. In turn our clients benefit from a completely flexible service. And where do you want to go from here? What’s your vision? The business has seen huge growth over the past few years both in terms of revenue and profit, driven by increasing numbers of clients and increasing numbers of the services we can offer to clients. I want to continue to grow the business on a nationwide level, including appointing regional managers in particular areas. We aim to be a one stop shop for all small business support needs and pride ourselves on being the staff you don’t see, but the difference you do. What has been the biggest challenge in starting and running your business? There have been so many challenges. I was lucky that the startup costs of the business were low – basically just me and a laptop but I had to be confident and get out there. Securing that first client is always the toughest challenge – as well as such a milestone. Since then the biggest challenge has been knowing what to invest in and when. For example, in 2013 we invested in a complete new website which made a real difference to our reach online and developed social media as a key referral channel for our business. 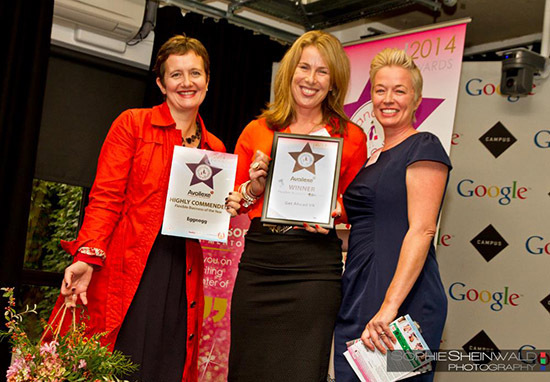 My proudest moment was last year when we received the Mum and Working Flexible Working Award. I was extremely proud that our commitment to flexible working had been recognized in such prestigious business awards. Balancing work and family is a challenge for any working mum. You have to be really disciplined to ensure that both work and family get the attention and time they need. 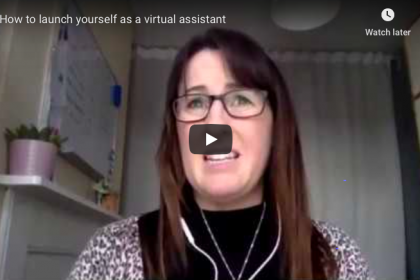 I am lucky to have a great team of virtual assistants around me and can tap into their resources as and when I need them. I set up the business to enable me to work flexibly around my girls and so having time off over holidays and after school is key to making it work for everybody. What advice do you have for other entrepreneurial mums? My favourite quote is ‘what will be will be’. I accept that we might not get everything right first time – but it is all part of the journey and all worth it! You can find out more about Rebecca and Get Ahead VA on their website.